SEO (search engine optimization) is defined by Hubspot as “expanding a company’s visibility in the organic search results.” It is a way to get your website to come up at the top of the page when someone makes a relevant query in a search engine like Google or Bing. If you want people to visit your site, learn what you’re about, and engage with you, it’s important to get a place at the top of a results page. Why? Well, with almost 2 billion websites live right now, your website is competing with every other site to show up on a search engine result page. Luckily, there are a few simple steps you can take to help boost your site rankings. Where your site or page is listed after a search - if you are at the top of a Google search, your ranking is #1. A search engine result page is the entire page you see after making a search on a search engine. Ranking higher on a SERP means greater visibility and more traffic. A specific word used in a search - these can be short such as "camping gear" or long-tail keywords such as "Best mattresses for people with indoor allergies." The heading on your page - Headings are ranked in order of importance and relevance to the content of the page H1, H2, H3, etc. The HTML that search engines “see” on your images. Since a search engine can't "see" an image, an alt text will tell the search engine what the image is about. When you load an image to your site, you will be given the option of tagging it with ALT text. An inbound link is one that sends a user to other pages within your site, while an outbound link sends the user to another website. More inbound links can increase authority. For blogs, it's good to have a mix of both inbound and outbound links. A brief description of the content of a page that will be listed under the title on a SERP. This gives the reader a brief overview of what the page contains and what they should expect to find. Now it might seem intimidating, but you can optimize your website without being a tech genius! Understanding how search-engines work makes the process much clearer. Search engines use an algorithm to provide users with the most relevant information to their queries. The algorithm focuses on two factors- relevancy of the content and authority of the source. Relevancy is based on what is written on the page. By finding keywords in the content, the search engine compares the relevancy of the content to the query. The source is also taken into consideration; for engines like Google, the more popular the source, the more reliable it is (presumably). Google is the most popular search engine in the world, holding 81% of the world market share, so optimizing your website for a Google search is a good strategy. So, what can you do right now to improve your ranking? Make sure the content pages pages on your website include relevant information that is clearly stated and helpful. Each page should contain keywords and meta descriptions to trigger search results and include inbound and outbound links to reliable sources to increase your authority. Use ALT text to label the images on your site. Although you and your viewers see your lovely image, unfortunately, search engines cannot. Instead, ALT text gives a description of the image which can improve ranking. Remember to have your address and phone number available on your website. 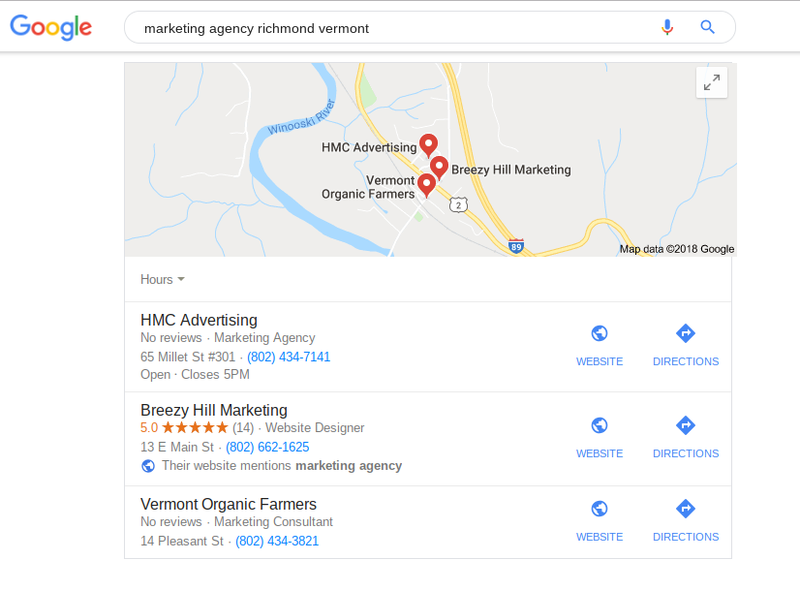 This will allow your site to be displayed as a local business, meaning your information will be shown when someone makes a relevant “near me” search. There are several SEO KPIs you can track. Tracking different KPIs can reveal a lot about the success and efficiency of your current SEO strategy. Tools like Google Analytics makes tracking KPIs easy, giving you the chance to analyze your current results and adjust your strategy for greater success. One of the most important - it tells you how many people are reaching your site using search engines like Google or Bing and not through paid advertising or referrals from other sites. Any time a visitor takes a desired action on your site such as filling out a form or signing up for a newsletter. The higher the bounce rate, the less time your visitors are staying on the page; consider choosing more specific keywords, refining content, and including more CTAs to reduce your bounce rate. We all use search engines to connect us to the best parts of the Internet, and knowing how to use search engines to bring visitors to your site is a huge advantage for your business. A few simple tricks can help boost your ranking and visibility. You have important and valuable content available, so use SEO to make sure it’s seen!